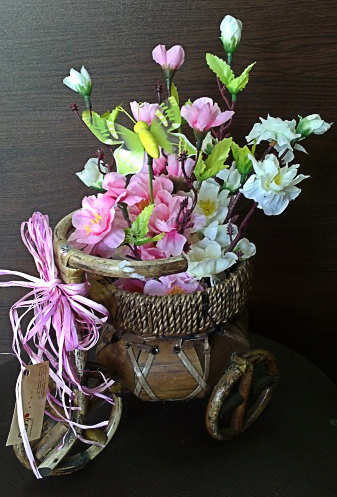 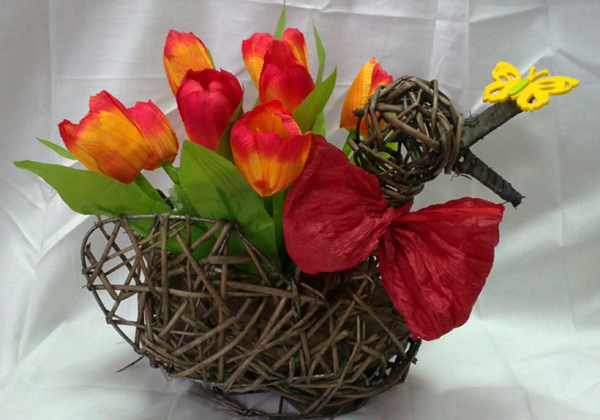 Artificial flower arrangements of tulips placed in a basket made ​​from natural materials. 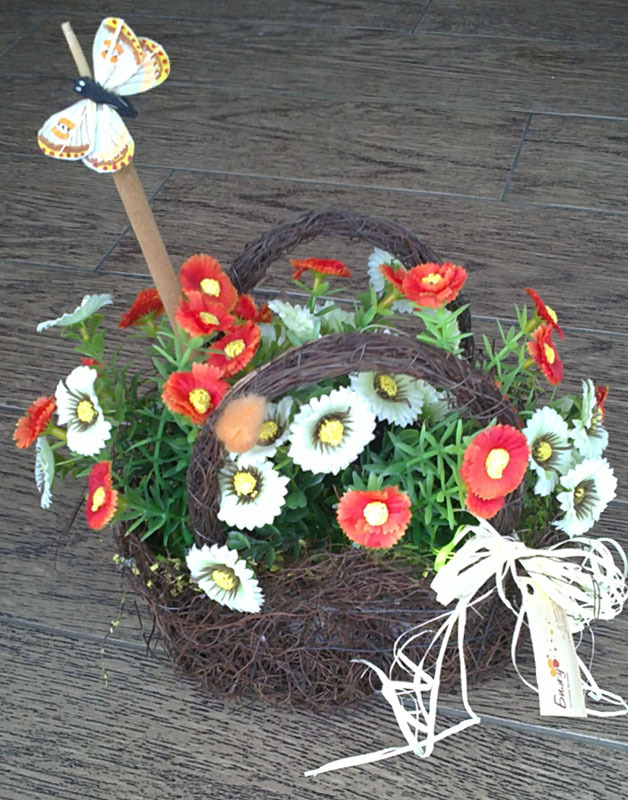 Basket filled with colorful daisies and will provide much joy and humor. 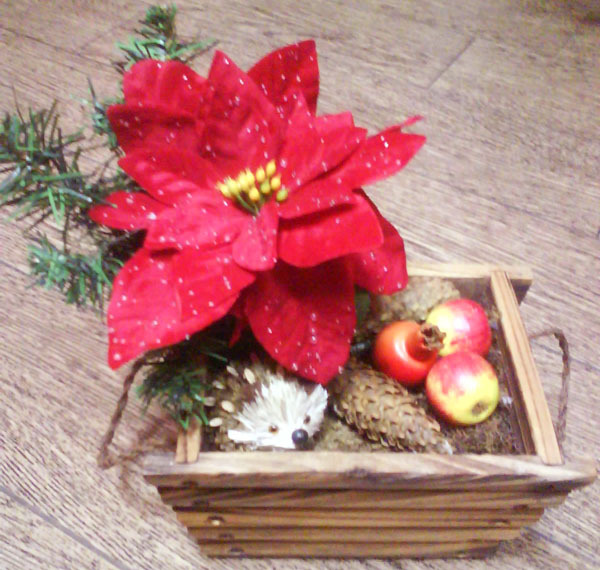 This Christmas decoration will bring comfort in a festive evening. 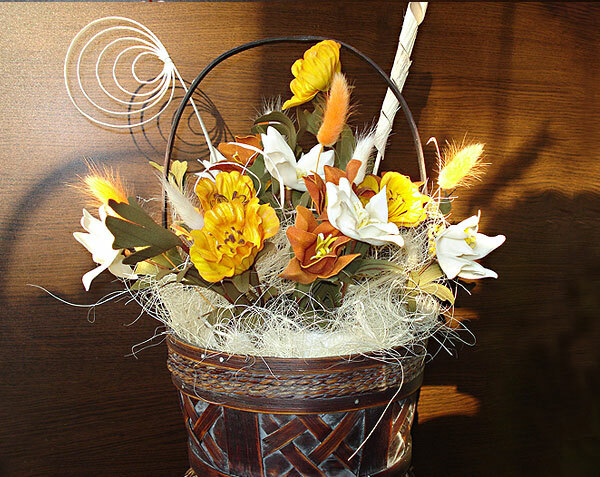 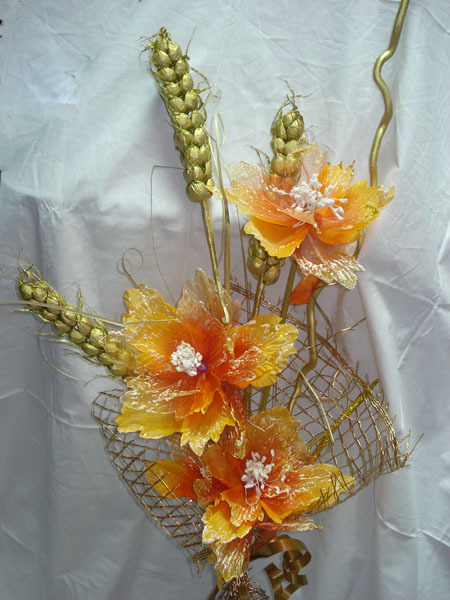 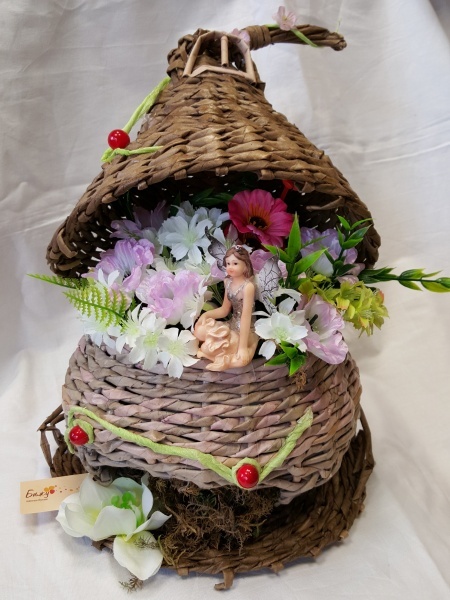 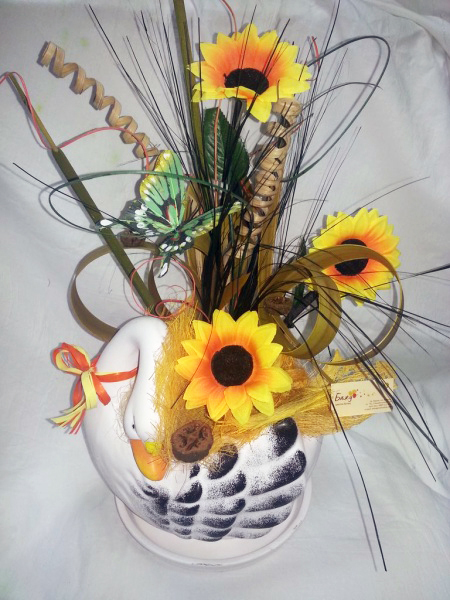 Artificial flower arrangements placed in a basket made ​​from natural materials. 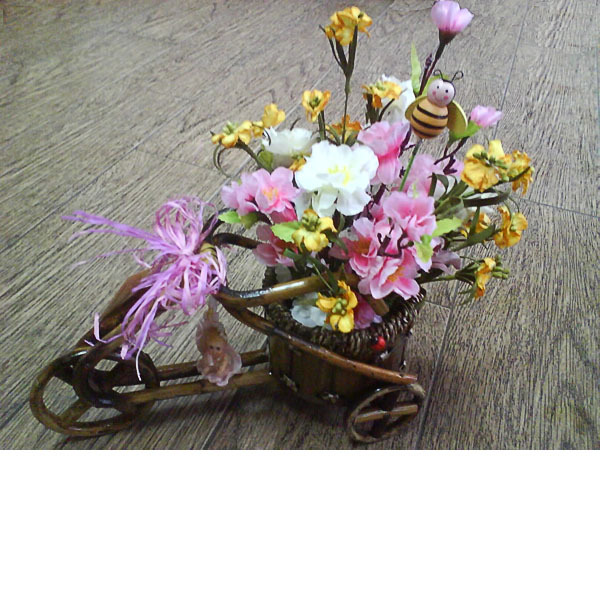 Arrangement for a newborn, made of artificial flowers.